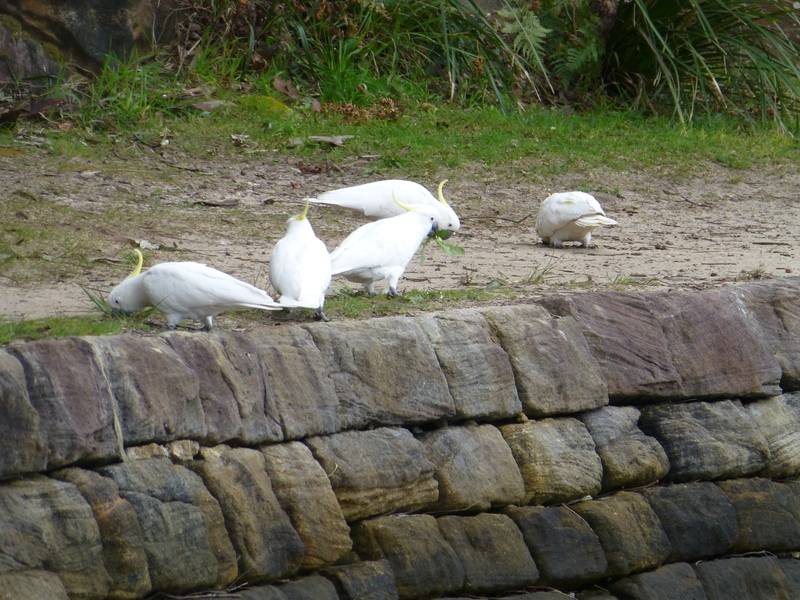 Lately I’ve seen groups of cockatoos together on the shore of the river baths. 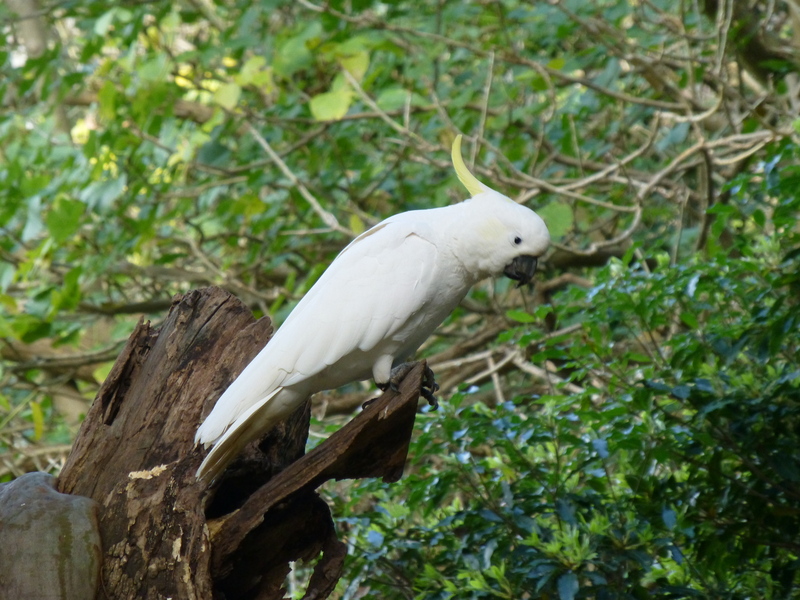 They seem to be thoroughly enjoying themselves– flying, swooping,landing in the branches of gums and other tall trees, and exploring the ground. 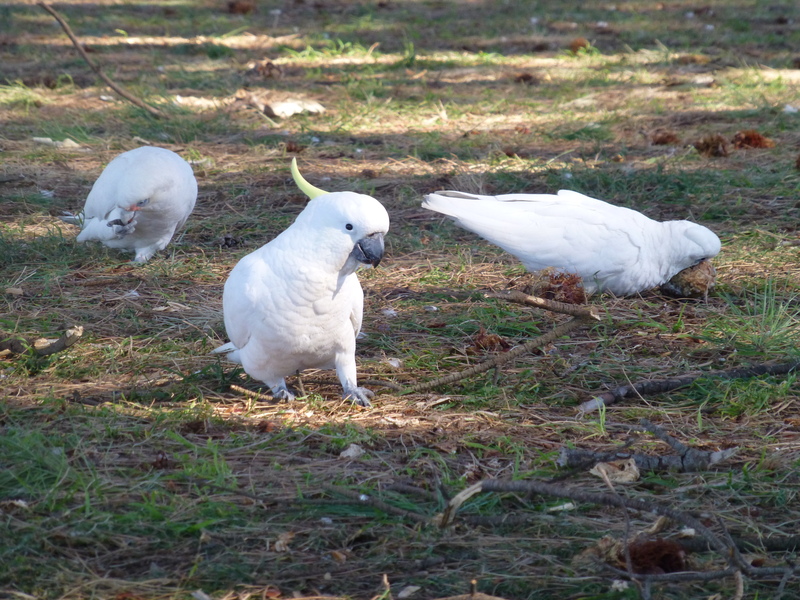 Love this photo of a confident Sulphur-crested Cockatoo searching for dinner amid a flock of Corellas. 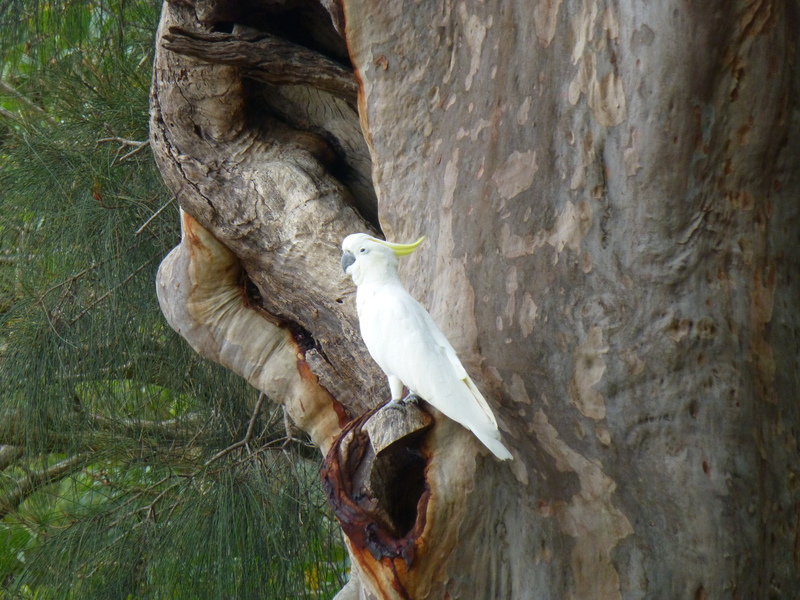 Scenes like this are often to be discovered in Cook Park, which extends along the Botany Bay Foreshores. With delights like this to be seen relatively near the city of Sydney, why would one wish to live anywhere else; particularly with a glorious ocean beach just metres away? Perhaps it’s a tasty treat. 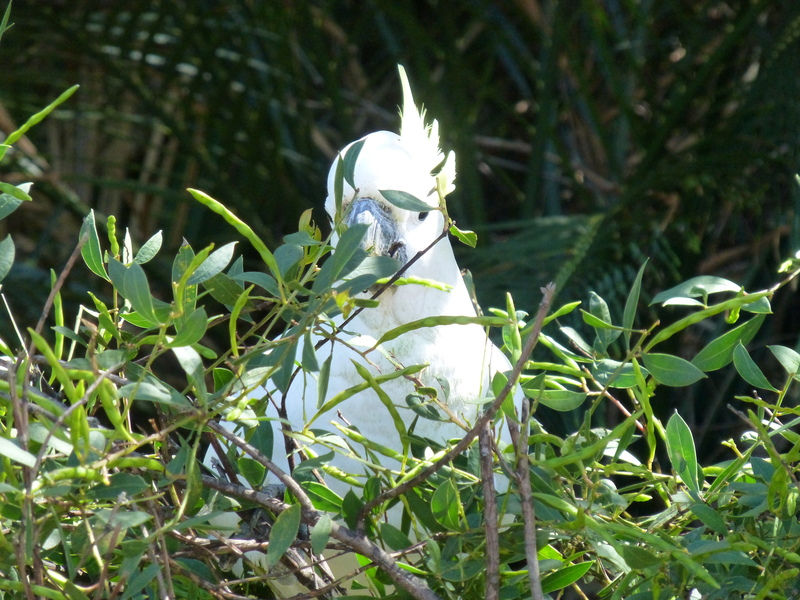 Or maybe, a feathered friend (or relation). Whatever it is, his pose and expression have put a smile on my face. Has she flown the coop? I guess he’s discovered the perils of leaving his home unattended. Potential squatters, a.k.a. Rainbow Lorikeets, are around in serious numbers. Nevertheless, I’m pretty confident that his future is looking bright. Certainly he’s spied something, but is worthwhile? 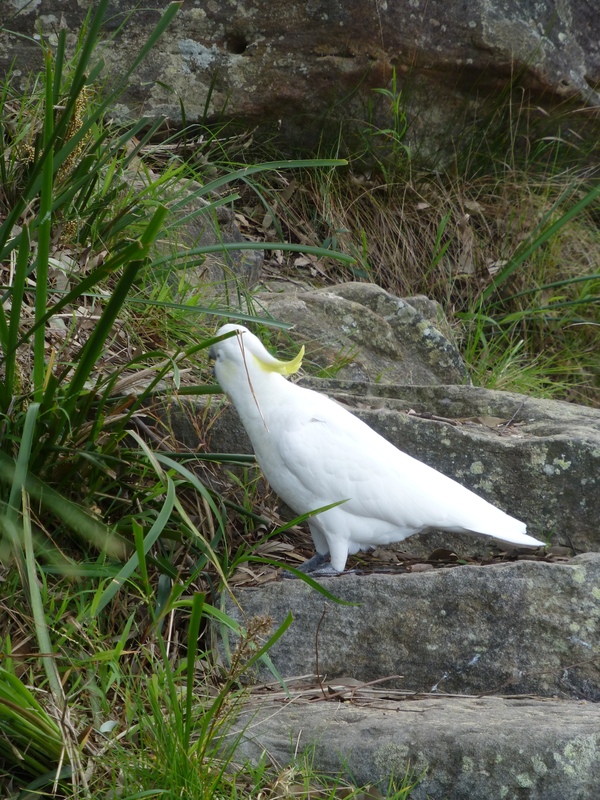 Is that what this cockatoo is thinking? The more I see these enthralling creatures, the more I enjoy their company. Australian wildlife must surely rank among the most delightful in the universe.